Fast Has No Age Limit: The KTM 65 SX is a fully-fledged piece of sports equipment for young pilots aged around 8- to 12-years-old. This year's top student features a revolutionary WP AER 35 front fork, ultra cool graphics and sets the standard in terms of power, riding dynamics, equipment and craftsmanship. 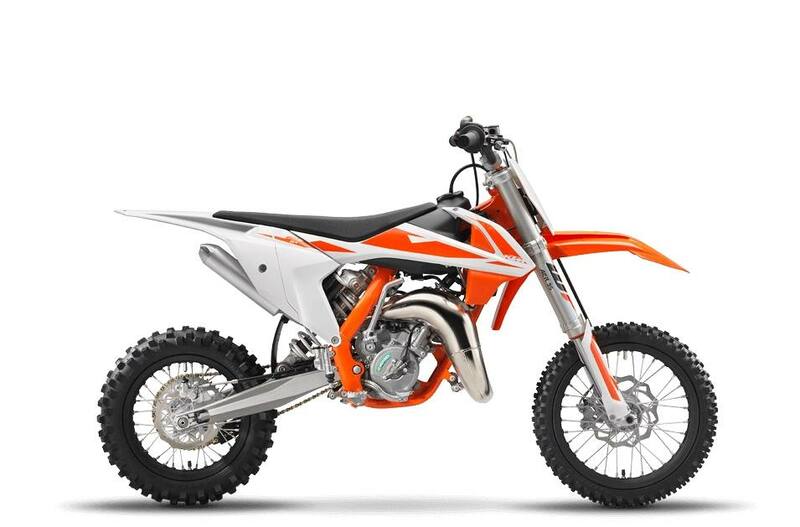 Like its larger counterparts, the KTM 65 SX is truly for its young competitors. The 65 SX benefits from cutting-edge 2-stroke technology and an easy to shift 6-speed transmission with a hydraulic clutch. The cylinder, with its pressure controlled exhaust valve, provides class-leading power and plenty of torque. Frame: The modern frame produced by WP Performance Systems is made of lightweight, high strength chromoly steel profiles and combines maximum longitudinal stiffness with optimum torsional rigidity. It guarantees easy handling and precise cornering, but also outstanding stability. The subframe is made of lightweight aluminum, just like the full-sized SX models. Front suspension: The new 65 SX is the first model in its class fitted with a modern, fully adjustable air fork: the AER 35, made by WP Suspension. Beside a massive weight reduction of 1.6 lbs, the newly developed upside-down front forks with 35mm tube diameter and 215mm of travel ensure outstanding comfort, damping characteristics and directional stability. Another main benefit for junior riders is that the air spring fitted in the left fork leg can be adjusted perfectly and simply to the rider's weight just with an air fork pump. 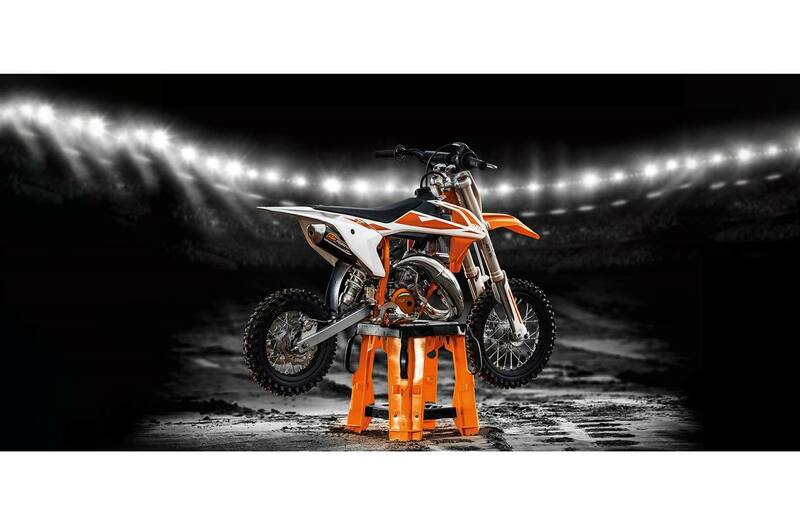 Rear suspension: On the rear wheel a WP shock absorber linked directly to the swingarm provides excellent damping performance and is fully adjustable in order set the damping perfectly to rider's preferences and track conditions. The rear wheel travel is 270mm. Chain: 1/2 x 1/4 in.